I have to confess that I’ve been a slacker. I have a few more sponsor giveaways that I was going to offer in my 10th Blogiversary Month of October. Obviously that didn’t happen. I did host 4 fabulous giveaways so far, (the winners have already been chosen) but I have a few more to go. In a perfect world, you could just hit the pause button on real life and spend all the time and energy working on The Big Project, but unfortunately (or fortunately?) that’s not possible in my real world. So I’m making it up to you with today’s giveaway. I’m giving away, not one, but TWO of My Big, Fat, Cuban Family Cookbooks. I wrote and self-published this beauty a few years ago. photo cred: TR Proz – Photography and Videography. All rights reserved. And I’ve had the pleasure and privilege to cook some of my favorite recipes from the book at different venues. So, who wants to win a copy of my cookbook? I’ll be choosing 2 winners on Friday, November 12th, 2016. You have until then to enter. What are you waiting for? Talk to me. If you just really, really, really just want the cookbook and don’t want to wait to see if you won, click on this link and enter the discount code: SHOW20 to get 20% off on My Big, Fat, Cuban Family Cookbook. Discount code offer valid through November 14, 2016 only. I love Cuban food! I grew up in Miami but have been away for 16 years since I joined the Army! I need this book!! Wish I could answer your question but my wife and mother in-law (both Cuban) are the ones who make all of the wonderful Cuban food that I get the pleasure to eat and are unsure of what most of it is truly called. I know my mother in-law makes a Cuban dish with chicken and potatoes that I love, but not quite sure of the name. I figure if I’m lucky enough to be chosen, I could make a Cuban dish for them and return the favor (and make an impression). Hello. The Cuban dish that I am praised for has to be Arroz con Pollo. I learned by watching my Tia Clara and knowing that using one can of beer can make all the difference. Served with plátanos maduros and I and my guests are in heaven. 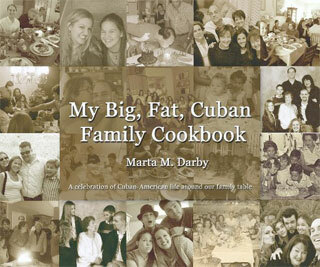 I would love to have a hardbook of Cuban recipes from you!! Love reading your blog and FB posts!!! Mucho gracias!! I’m a first generation American so when it comes to cooking Cuban food nothing can compare to my mom’s and my Abuelas! I recently made some killer chícharo (not all that Cuban but still) & received lots of praise from my grandparents. My goal is to venture out more and make all the different frijoles. Can’t believe I still haven’t mustered the courage to make black beans. My “gringo” kids love my Ropa Vieja with Black Beans and Rice and of course Patelitos de Guava for dessert ? The one Cuban food that everyone praises me for is Vaca Frita! Everyone that has is says it’s so much better than what they have had at restaurants! Love Cuban food! Unfortunately, I did not have my aunt or Abuelo’s write anything down!! But I’ve made some recipes from different cookbooks. Love making picadillo over rice and top it with a fried egg!! Would love to win your cookbook. Thanks! The dish that gets most praise from my family is my frijoles colorados. Con todos los hierros. I put meat, veal chunks, lacón, tocino, calabaza, malanga. En fin, it is delicious. I make enough to freeze some for the following week. Loooove my colorados!! Pick me!! Bistec empanizado con platanos maduros y arroz blanco. My ex husband is cuban, I have been making Black beans and rice and roasted pork for Christmas eve, it has become a family tradition. I would love your cookbook, I have an old cookbook that my ex husband bought for me when we where first married 40 plus years ago. Your slow cooker Roma veja! My go to meal that everyone seems to enjoy is picadillo, rice and maduros (of course!). ??? Picadillo and Black beans and rice!! I’d like to be known for the ropa vieja and croquetas ! I make a mean ropa vieja ☺️ I would say paella but isn’t that Spanish? I need to expand my repertoire for sure. I don’t cook any Cuban food good. My sister has the right sason. I just want to learn how to cook Cuban food. Chica, I am not quite at the status of La Reina de la cocina, as I aspire to be but, I’m often praised for my lechón con mojo. Not trailing too far behind is my dusted pastelitos de guayaba y queso. I LOVE LOVE LOVE to cook and bake. I collect cookbooks and I would be THRILLED to have your cookbook in my arsenal of reference guides. I’ve added it to my Christmas/birthday wish list. ?? As for what I’d like to learn how to cook….EVERYTHING!! My daughter loves my black beans and rice with picadillo. I would love to win your cook book. I love your blog. Keep up the great work!!!! I was born in Havana and arrived in Orlando in 1962. I used to watch my Abuela and my Mom cook. That was the best way to learn. My favorite is Piccadillo with arroz blanco and platanos maduros. My Dads favorite was Arroz con Pollo. I love you on FB and love your blog. You seem like family to me!? Mi plato favorito y quiero perfeccionar es el arroz con pollo a la chorrera. I would love to win this cookbook for my dad. He was born in Havana and my mom in Santiago. Ever since my mom had a bad accident in 06, he’s been taking over on all the dinners and cooking. He ALWAYS goes to your site to get the recipes, prints them out and then loses them lol so I know this cookbook so be incredible for him since everything would be in one spot. Please and thank you!!! I asked my kids and in-law kids and so far I got 1) Rabo. 2) Churrasco. 3) Pollo a la Plancha 4) Lechón and most of all 5) FLAN! I married a Cuban in Cleveland, Ohio 33 years ago this December and my world has not been the same since then. I have learned most of my Cuban recipes from watching others cook and asking lots of questions. I do noche buena every year with the pork, yucca, black beans and rice, one year we even tried buenuelos, but they were not quite right. That is one recipe I would love along with a good flan. I also need help with pollo asado getting the sauce correct. My husband says that my arroz con pollo is pretty darn good as are my black beans. But I really need recipes for some of the braised beef, frijoles rojo, sopa de pollo con fidelis and probably much more………. I love reading your blog and seeing the great food shots, they make me hungry. I’m 22, youngest daughter of a 80 year old born and raised Cuban traditional father we grew up with my Mexican mother cooking as many cuban dishes as she could, as original as she could. I live in Texas so there’s not many Cuban restaurants around, so the best is homemade. I’m now married to an American guy that loves to cook but was never introduced to Cuban food until he met me. We now have two boys and we would love to cook original cuban recipes together for them. 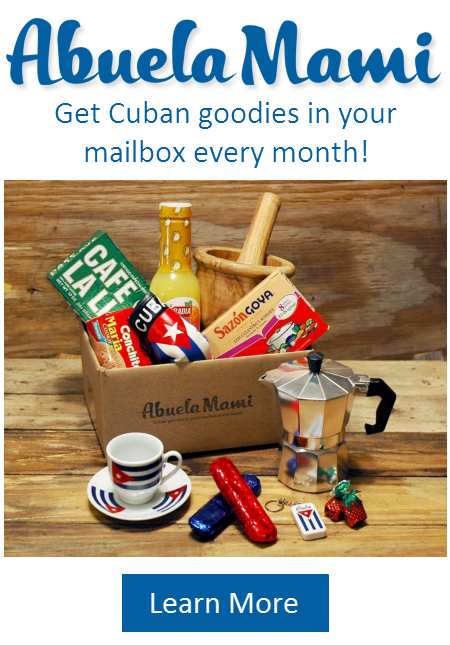 Ropa vieja and maduros are our but we’d love to finally get our hand in some of your recipes! Hola Martha, I have been your follower for years now. I came to this great Country from Cuba ?? in 2002. I learned to cook Cuban food with mi abuelita ? In times where you needed to be really creative to be able to put dinner ? on the table for your Big Fat Cuban Family (that’s how I see my family too). She did not have her recipes written down. Now I cook for my family from my past experiences but I would love to have your book. I am your fan and I love ❤️ how you kept the traditional Cuban style family reunions and family’s get together. I inherited my mother’s recipe for “Arroz con pollo imperial”. After my mom went to heaven (earlier this year) thats the recipe everybody ask me for and I feel like I honor her memory every time I make it. My favorite Cuban dish that I make that EVERYONE loves is Ropa Vieja make with black beans and platanitos. My family and I could eat that 3 nights a week! I am a terrible cook. My 3 Abuelas, yes, 3 because I’m Cuban-American and you know we put the “fun” in dysfunctional, were and continue to be the most incredible cooks ever. I think I finally mastered the art of picadillo and my kids and husband rave about my arroz con pollo ala milanesa, but then again, he’s a gringo and doesn’t know any better, and my kids are only 1/2 Cuban. I have tried a few of your recipes but would love the opportunity to proudly display and use your cookbook in my kitchen. Who knows, I might actually make real frijoles, not from Goya, and ropa vieja if I won your book!?? I grew up in a “Big Fat Cuban family” haha we love food and we love how food brings us all together through love. My favorite dish to cook is picadillo! I love the salty meat with the different layers of flavor. Everyone in my family loves when I make it including my Irish boyfriend! It would be great to have your book to make more delicious recipes for my family and boyfriend. ?????? My family has always loved my Cuban pot roast, served with white rice and maduro (And perhaps a Materva too). Lately, I’ve made your picadillo pies and my kids devour them! I admit, I do too!!! I’d love a book of your recipes so I don’t have to keep scrolling through my phone! Hello, I believe I’ve mastered picadillo, fricase de pollo and flan. My son loves my arroz con pollo but I believe it can use some more work. My personal favorite are my black beans. The Christmas prior to my moms passing, I watched her every move, measured every spice and have been able to duplicate her flavor. I believe she is with me each time I make them. I would love to learn how to make ropa vieja and my husbands favorite, rabo ensendido. Thank you for your blog and many blessings to you and your beautiful family. To scrape the bottom and lick the spoon. Que rico. I make a pretty good Picadillo with rice and black beans. I love trying out your recipes and for the past few years, I’ve been making your guava and cheese pastelitos for relatives and friends. I also make your crockpot dulce de leche and crockpot pork. Your creme de vie is also a big hit at Christmas time. I would love a copy of your book do that I can find all of the recipes in one place. My dad joined the Marines before WWII and left his Cuban grandparents, who raised him, and his uncles and cousins behind, married my mother after WWII and lived in North Carolina the rest of his life. My sister and I grew up eating arroz con pollo and black beans and rice and not too many of the other traditional dishes because neither he nor my mother could get the ingredients and didn’t know how to prepare them. But how we loved those trips back to Tampa. I would really like your cookbook. There are so many things I have eaten and have no idea how to cook. Thanks! I would love to take this opportunity to congratulate you on 10 years of MBFCF. I consider you the “search engine” of all things Cuban including cooking! I collect cookbooks & it would be an honor to have your cookbook amongst my collection. I am most known for my empanadas & picadillo! Thx!! My coworkers love my picadillo. I add cubed fried potatoes at the end and it looks great and tastes even better. I would love your cookbook because I feel like I know you and your family through your blog. You make cooking a family affair and a way to make memories. Thank you for sharing your love of cooking and fabulous recipes making cooking so much fun. Usually when I make black beans , chicken, but especially tostones! I would love to have your book! It would be a treat for sure. I am always praised for my picadillo… which is actually just your recipe! Thanks for that 🙂 🙂 I would love a cook book with more recipes. Everyone loves my lechon and picadillo! I need to learn how to make lots more! I can’t wait to see your book! We love to make Papa Rellenas — everybody can’t eat enough!!!! I learned to make Arroz con pollo from my mother and grandmother, but I feel I improved on it. My family loves it. Including my anglo son-in-law raves about it. My wonderful Mami passed away in 2007, but she left a few handwritten recipes behind. My sisters and I are so grateful to have those (as well as her falling-apart copy of “Cocina Criollo”). We three niñitas got married within a couple of years of her passing, so we didn’t have a chance to record all of her recipes. But her family-famous recipe, which I share with all the important peeps in my life, is her arroz con pollo! I’m not much of a cook otherwise (unless I make your ropa vieja… ?). I made my West Virginian hubby a Cuban food fan, but there are so many more dishes I want to try. 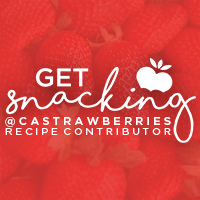 Your recipes are so easy to follow and fun to try! Fricase de Pollo. That’s my magic dish. The Cuban recipe needs to be given to the next White House chef, no matter who wins the rlection. Fricase de Pollo brings people together. I’ve made it for my job when we have to bring in a dish for a luncheon and everybody likes it. And when I mean everybody I’m talking about El Chino that works in IT, la India that works in Client Services, la Jamaicana that works in Implementation, el Dominicano that works in the Transmission Room, la Rusa that works in Accounting, and of course, el Cubano that works on the Specialty Accounts. You see, Fricase de Pollo is ‘our’ United Nations’ preferred dish. I’ve even used the original Cuban recipe and sometimes change it up a little like adding curry and it gives it a twist. I’ve also changed the potatoes for sweet potatoes. But, the true recipe is the best. VIVA EL FRICASE! Hola! Me encanta su blog y por supuesto la comida cubana. Arroz con pollo a la chorrera es mi favorito. Pero nunca me queda tan rico como el que hacia mami. Gracias por hacerme sentir tan orgullosa de mis raices siempre que leo sus historias. So pick me! Pick me! ??? I married into a non Latin family and theiron mouths dropped to the floor when I made them Ropa Vieja! Picadillo! Whenever my son comes home on leave from the Army he has a list of meals he wants, picadillo is always the first meal we have together. It’s tradition! Que siga la tradición! Everyone always wants me to make Empanadas. My family loves my picadillo. I’m grateful to connect here. I really love your posts. Great job! 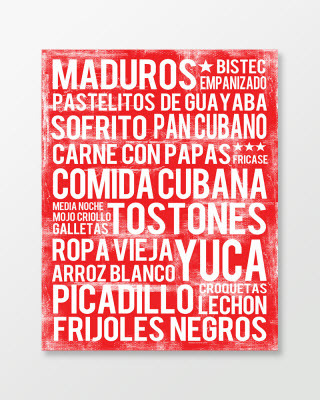 Oh by the way I also have the Cuban food poster! True fan here, yes I know. ? I met one of my best friends when I was 16 (I am now 69). She was Cuban and through her and her family I was introduced to the world of Cuban food. One of the best things that ever happened to me. Through my friend and her family I learned to cook a lot of Cuban dishes. Now my own family loves my black beans and rice and platanos maduros. My favorite is congri and my pastelitos de guayaba. There are so many more dishes I would still like to cook and would love to have your book. I’m not sure what info you are asking for beneath my name and email where it says Website so I am putting your page . I am a legend (in my family’s mind) for my TURKEY PICADILLO. Paired up with my platanos maduros asados. Yep, gotta slenderize, pero no se puede perder el sabor! I would LOVE to win your cookbook! My kids love when I make cuban beef stew (carne con papas). Can’t wait until the weather gets colder to invite them over and cook also rice and tostones with it and a little salad. Thank you Marta for the beautiful cuban page and working so hard to make it so authentic and inviting. Besos y abrazos. Esther in San Juan Capistrano. Hello! I would love to try your cookbook. Coming from a Cuban background as well I love reading your FB posta. I make a mean Arroz con Pollo that everyone loves along with fantastic black beans. I can make a good flan as well when the mood strikes. Thanks for sharing everything going with us. Keep it up! I find myself wanting to learn how to make more Cuban dishes. As I get older I cherish my Cuban heritage and traditions more. My family loves when I make Flan and Croquettas /Salmon. Would truly be lucky to receive your cookbook. Love your recipes and your blog. GOD Bless….Enjoy the upcoming holiday’s. I really enjoy your blog. The cuban food my family praises me for is picadillo,go figure it’s my least favorite. They also enjoy sopa de pollo I make when they are sick. I dont make Cuban food as i dont know how this is why i meed your book. I aways look forward to our yearly trip to Cuba and having dinner at our friends home. Nothing like a home cooked meal and spending time with my second family. I just love you and your wonderful blog MBFCF. Congratulations on 10 year anniversary, I wish you twice as many more! “My big fat Cuban family” and my big fat Jewish family…no difference! Same love for food, same love For family! Love your recipes! Hope I win!! I love Cuban food. Everyone praises my empanadas. I’m from Hialeah and my mom taught me how to make all the delicious Cuban food she grew up with in Havana. To this day I still call her when I have to bring a dish so she can refresh my memory on all the good and “secret” ingredients that make a dish good . I would love the book so I could learn how to make even more of our wonderful Cuban dishes . My best dish is picadillo, arroz, frijoles negros y platanos maduros. I love making it for my family. I never get tired of making it and they never get tired of eating it! I would love to have your book so I can introduce new Cuban dishes. My birthday is on the 11th so it be a great gift to me! I’m Cuban and just recently discovered your blog, I love it! The dish I make that all my family loves is potaje, split pea is the favorite. All the other Cuban cooking is done by my husband when we have it. He is not Cuban but cooks as well as my Abuelita used too! I need this book!!!! It will save me from insanity when all I need is just a little comfort food from home. I grew up in Miami and my Papi used to always celebrate everything with food. He has passed away but the love of homemade food has always been with me. Well and okay the love of Cuban coffee. Well and all pastelitos…. Okay so I guess you get the picture. I would use the cookbook every week and hopefully pass it to my daughter to carry on the tradition of the most amazing food in the world. I live in Wyoming now and there is nothing out here that compares to Cuban food. Do you now see how this is soooo badly needed? Por Favor!! Food=love! Spread some love my way! My oldest son has not been able to find any restaurant that can beat my Ropa Vieja and my youngest can not go a week without Croquetas. My daughter’s favorite is also my favorite: Arroz con pollo which i think finally tastes like my abuela used to make. Next I’m planning on tackling tamal en cazuela and tocino del cielo. A mi familia le gusta cuando llo cocino Lechón asado y arroz y frigoles rojos! Hmmmm! Anytime I ask which dessert I should bring, friends always ask me to bring my flan. My recipe that everyone compliments for is my flan. It’s foolproof, delicious, and hasn’t failed me in 30 years! I would love to win your book so fingers crossed, and congratulations on the 10th anniversary of your blog! I am a Gringo from Iowa! I grew up on the farm eating green beans, Lima beans and corn on the cob as well as our own corn-fed beef. Then I met a handsome Cuban man…yes, in Iowa! He introduced me to a whole new cuisine. My wonderful Cuban mother-in-law and sisters-in-law taught me to cook it. My family loves my black beans and rice made from an old family recipe…shhhhh, I can’t tell! I think my best Cuban dish is Arroz con Pollo. I also make ropa vieja, picadillo, flan, plantains (soft! ), and have attempted, but not perfected croquettes and Cuban bread. My refrigerator holds bitter orange and mojo; certainly not staples in an Iowa farm house refrigerator! I’ve used your recipes for Pastilitos de Guayaba + Queso and Cuban Flan Cake. Your poster hangs in my kitchen! I’d love to add your cookbook to a place of honor on my kitchen shelf! My first contact with anything Cuban was on a vacation I took in high school with a girl friend and her family. We traveled from Indiana(Hoosiers) and flew to Miami. My first time ever in Miami in 1986 I believe….I guess you can figure out my age. :) Needless to say I fell in love. I fell in love with many things Cuban…yes especially a Cuban boy however we did not marry like I dreamt but I am still in love with all things Cuban and to this day fill my heart with Cubaness by listening to Beny More, Celia Cruz, Cachao, Bebo Valdes, Gloria Estefan and many more. I did move to Miami eventually and fell in love all over again with all things Cuban and yes another boy however we did not marry either. I moved back to Indiana and now in your back yard of Southern California. :) I still cannot let go of the Cuban bug that bit me when I was 16. 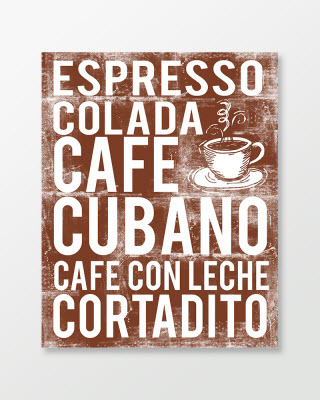 While I loved Cuban food in Miami and especially a good cortadito and pastelito I must admit I have not done much Cuban cooking. I have recently made my children ropa vieja and I do my best attempt at frijoles negros (not from the can:)) My boys wonder what this magical Cuban thing is that stole my heart . Is there a word for Cuban magic? Thank you Marta. I hope to learn many more recipes with your cook book. Please! Please! Please! Choose me! Both of my parents are Cuban but I wasn’t raised by my mother and need to keep the culture and tradition alive! I’m a new mother now to a 4 yr old and a 9 month old and want them to be emersed in the culture as much as possible like I was as a child with homemade dishes from Abuela like Picadillo and Bistec Empanizado con arroz y frijoles…I already struggle getting my 4 yr old to eat food in general and also struggle in having him learn to speak Spanish ….my husband doesn’t speak the language, but they both love the food !!! I feel disappointed as a woman and a failure as a mom that I can barely cook and always eat at restaurants..just the other day I was telling my husband I was going to purchase your cuban food poster for our kitchen and he joked that…”now if you only knew how to make all those dishes!”….I really want to surprise him and practice with your recipes in secret while he is at work and become a pro just like my abuelas. I am so very determined to cook some delicious homemade Cuban cuisine at home for my family and keep my heritage going! Craving some now just writing about it !!! ? Picadillo would be the dish I would like to learn and master because it is my husband’s favorite Cuban dish ? I was born in Miami of Cuban parents and grew up loving my Mom’s cooking. Served just over 27 years in two branches of the US Military (Air Force & US Army) and traveled a lot. Missed Mom’s cooking terribly. Now I live in Salisbury, North Carolina and continue to miss Mom’s cooking. I serve as a Christian counselor at Capstone Recovery Center, a transition house for women coming out of addiction. Every chance I get, I try to expose them to that wonderful Cuban cuisine. Would love to get a free book, but if I don’t get a free one, I will buy one anyway. Why? Because I love my Mom’s cooking. 🙂 Bendiciones a todos! My attempts at Cuban cooking don’t come close to my mama’s , but with her help, I learned to make the most delicious camarones enchilados. On Noche Buena we have lechon asado, of course, but for Christmas dinner, when we host my husband’s family, they always request my camarones enchilados. I’d really love to learn to make tasajo as wonderful as my tia’s too. Hands down it’s my picadillo, at least here in the states. I get texts for it ALL THE TIME! Side note-When I went to Cuba 2 years ago on a teacher scholarship (to travel and learn for my classes but also meet family for the 1st time), the sweet people I became friends with were AMAZED at my “Cuban” cooking. I made all sorts of ‘traditional’ dishes (atleast I thought they were).For so long, many there have been without the spices and ingredients known and needed for what we call traditional “Cuban” food…. 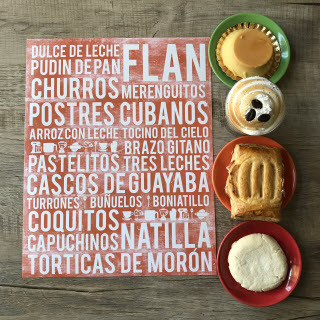 I’d love to have this cookbook as a resource for my students (and myself as a 2nd gen 1/2 Cuban) so that when I assign Cuba as a project and they have to cook an appetizer, main dish, and dessert…they can use this cookbook as a guide to create delicious food! Everybody loves my Ropa vieja, Piccadilly, and arroz con pollo. Sorry I would have named one but my kids voiced their favorite. Everyone, including my Irish in-laws, loves my Christmas Eve Lechon Asado. No Caja China for me but, it roasts in the oven all day! Picadillo, as many others posted, is a very close second in my family, too. Could use the help to bring authentic cuban food to my family in Maine. Moved from Miami 11 years ago and my kids only get the real thing when we visit . They do like my arroz and piccadillo, though . Thank you for choosing me! My British son-in-law loves picadillo, arroz blanco, frijoles negros y platanos maduros! Would love to give my daughter this cookbook if I win but will probably by her a copy for Christmas! Thank you again! Being Cuban means many things to me, but with kids who barely speak Spanish I try to impart my traditions. Everyone loves my Black Bean Soup and Picadillo. 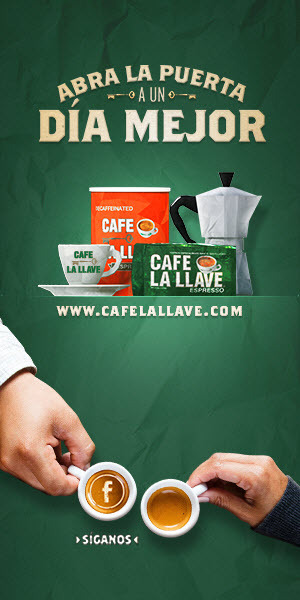 Media Noches, i marinate and make my roast, i even wrap a brick in foil to press it. This Mexican loves Cuban food. Mmmm I would love to be famous for my Ropa Vieja or my fricase de Pollo! They were always my favorite things that my grandmother made growing up. WHY did I not have her teach me when I had the chance?! Cuban food is the absolute best and I want to master it! This cookbook would be my best friend and help me embrace my cuban roots!